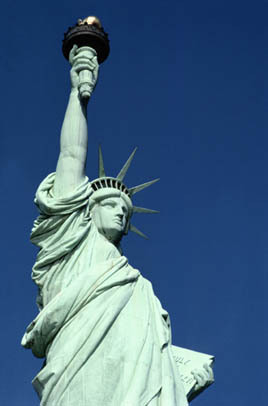 Don’t Let Lady Liberty’s Beacon Go Out! has passed through the Port of NY at Ellis Island. and cuisine with them. The Peopling of America examines the trends in a changing population. the House leadership refused to even bring the bill up for a vote.That’s why President Barack Obama is taking action where he can to help fix our broken immigration system, strengthen our economy, and protect our communities and families. will allow immigration enforcement officials to focus resources on deporting felons, not families. These actions to help our immigration system will strengthen our country, grow our economy by up to $210 billion in 10 years, and could shrink the federal deficit by up to $25 billion over the next decade. But the President can only do so much on his own. Only Congress can finish the job and fix our broken immigration system in a permanent, meaningful way. Provide a pathway to earned citizenship. Streamline the legal immigration process. Continue to strengthen our borders. Crackdown on employers who hire undocumented workers. The only thing you hear today in the media is Donald Trump’s ultra-hard lined immigration plan; which consists of building a wall around our country that he will make the Mexican government pay for. His plan is unfeasible, to say the least. a necessary part of the national economy; American enforcement practices are designed to manage, not eliminate, violation of border laws. just as it would send thousands upon thousands of un-welcomed immigration agents into American cities to deport 11 million immigrants; further opening other cans of worms. There is a term for what could come next: civil war. The US-led war in Iraq, under the Bush administration, ultimately contributed to the further destabilization of the Syrian region, which helped spawn such terror groups as the Islamic State aka ISIS, and the four year civil war in Syria; headed by Bashar al-Assad. Nations. Neighboring Turkey has taken on refugees and most have been continuing onward to Western Europe. The refugees have been joined by others in Iraq, Pakistan, and everywhere else conflict has arisen in the Middle East trying to escape abject poverty and the Islamic extremists. Obama administration is not the root of the crises in Syria. In the beginning of ISIS there were many media outlets reporting about a visit that Senators McCain and Graham took to the Middle East to garner support for the young, upstart group, ISIS. They found an open ear of a Saudi prince, who was willing to fund the young, upstart group–this fact has since been buried when ISIS turned out to be a huge threat to the US. Nine million refugees have fled since 2011 into the surrounding countries. Applications for asylum have been accepted in the countries around Syria; most have moved further west. The United States has given asylum to 1,500 since 2011; we are expecting 10,000 this fiscal year and 75,000 are slated for next year. Since we have had a big hand in creating this problem, I say we must be careful upon whom we are letting in; it is however, a good start. This entry was posted in Congress, Immigration, President, Protests, Rights and tagged 2013 Senate bipartisan CIR, Comprehensive Immigration Reform, Immigration, ISIS, Obama's Immigration Executive Orders. Bookmark the permalink.